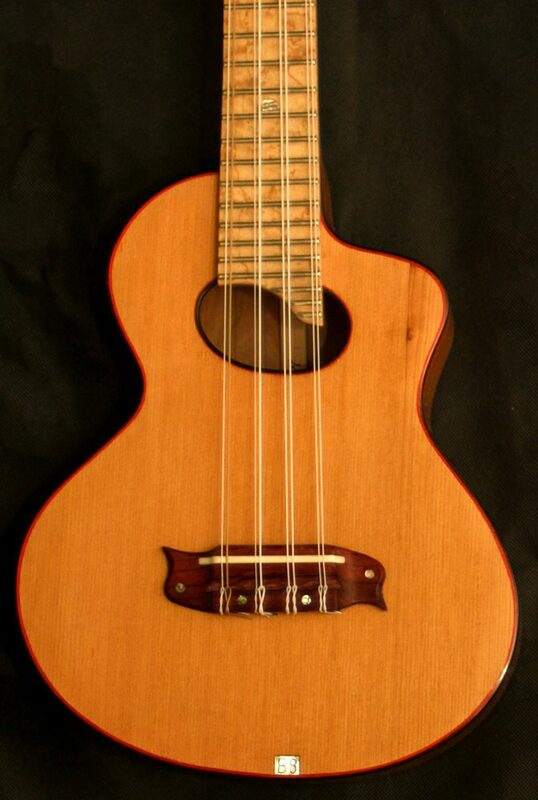 The Brief: So why an eight string ukulele. For those of you who have played 12 string and mandolins you will know and appreciate what those instruments bring over single stringed versions. There is a richness and abundance of overtones that provide an amazing musical pallet that is not achievable in the standard format. That was our starting point here. But as with all paired string combinations, there is always the need to ensure playability with all those extra strings and neck headstock balance with all the extra tuners and headstock weight and length. Many challenges. 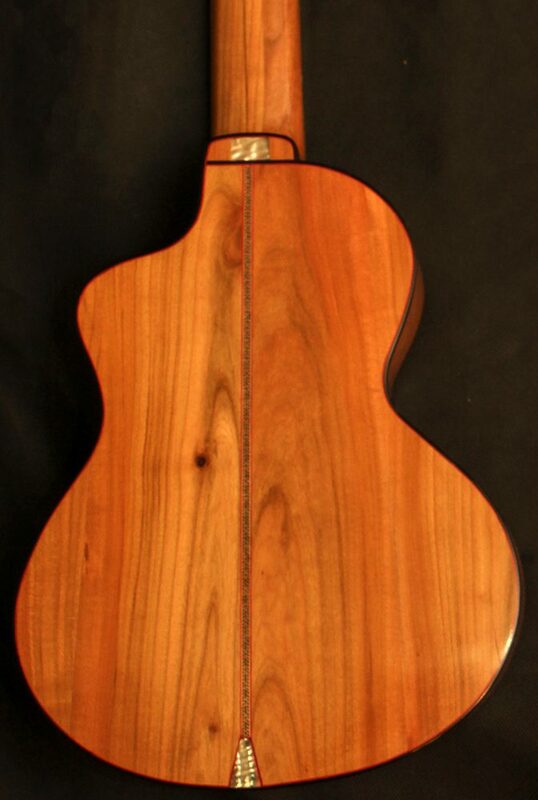 We usually construct our ukuleles from Japanese Cherry for the back, sides and 3-piece neck. This provides a well-rounded sound that appeals to a great number of our clients. But there are times when a brighter sound is required and this is what our client was looking for. 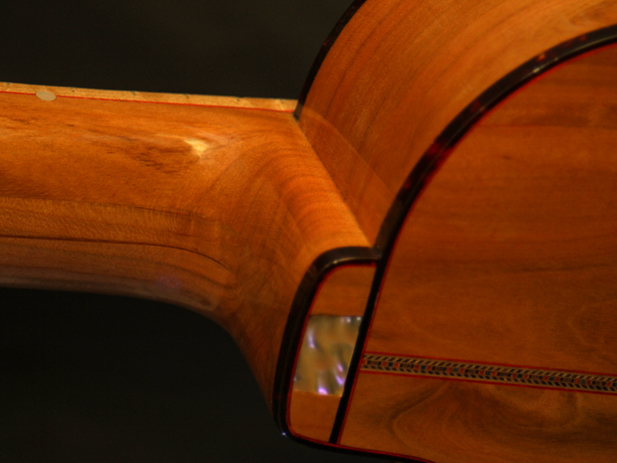 So to produce this bright sound and visuals we used Cedar for the top and Birds-Eye Maple for the fingerboard. This was blended with the addition of twin paired strings, the top two pairs the same and the bottom two in octaves. 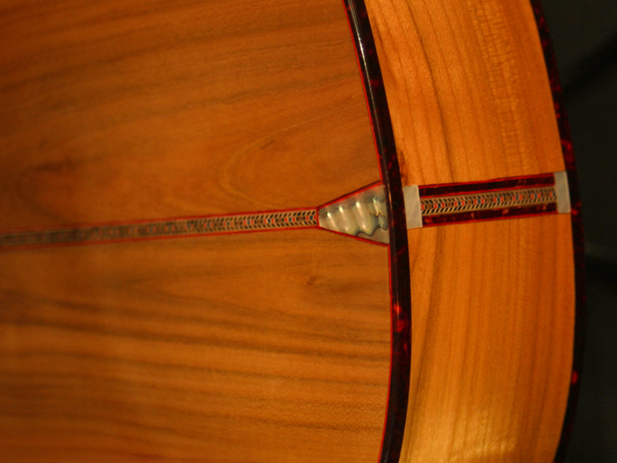 In order to produce the bright vibrant sound and to get the best out of the Cedar top we provided very precise and tight bracing pattern. 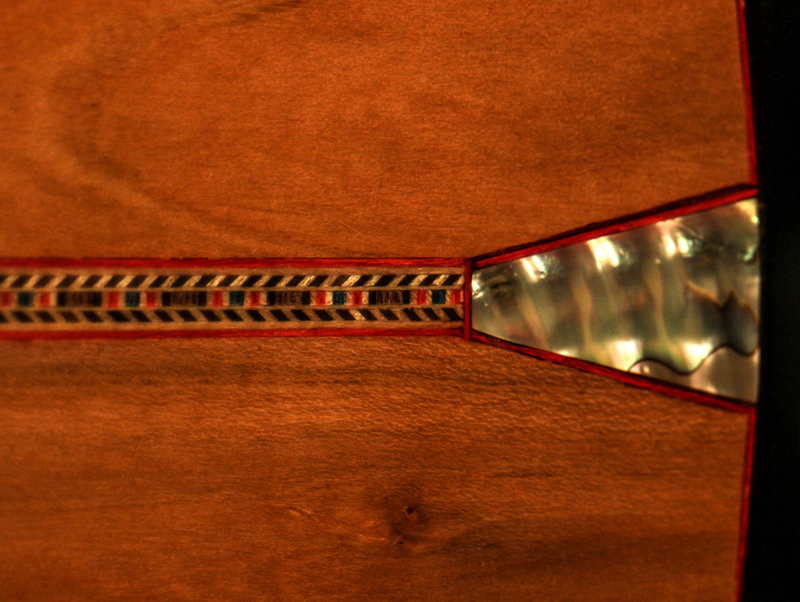 Aesthetically we included red binding combined with faux tortoise shell binding for a warm rich look and feel. We also integrated a small Atlantic Ocean find into the bridge. 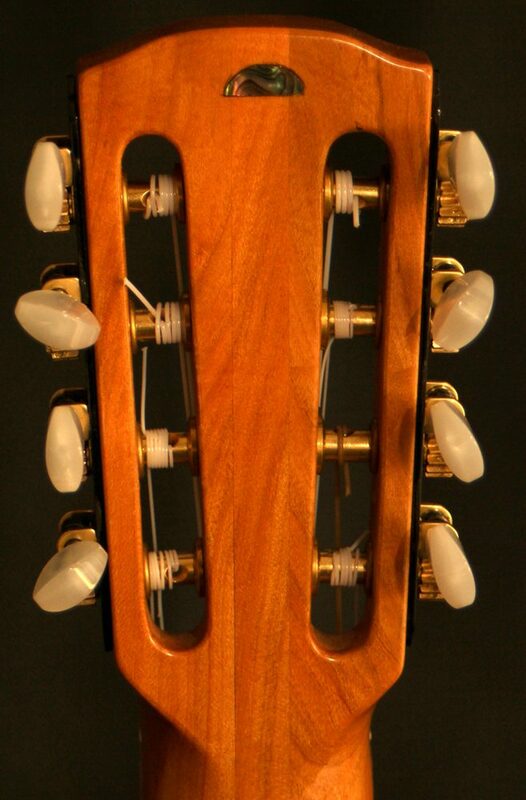 The slotted headstock gave a classical look to the instrument and helped balance the weight of 8 machine heads and they are set off with Red Coloured Abalone inlay. Should our client wish to integrate a B-Band Preamp and Pick system we have already thought ahead and allowed for most types of systems in our bracing and body sides. So an upgrade is a simple and easy option. Sound Samples: Don’t just take our word for it try our sound samples and hear for yourself.